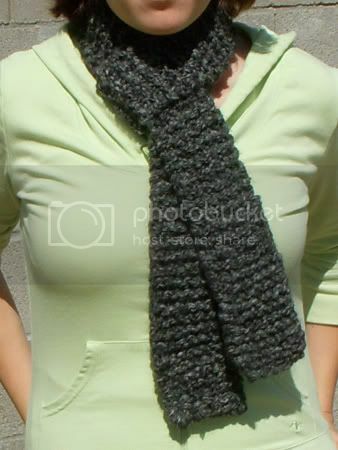 The Crafty Cattery: Charcoal Scarf, Home Library, and "The Office"
Charcoal Scarf, Home Library, and "The Office"
It's just a basic garter stitch scarf, knit with double-stranded Lion Brand Homespun yarn on size 13 needles (the color is "Edwardian"). My mom has asked that I knit 3 more as gifts and she's even offered to pay me for them (*gasp* my first commission!). 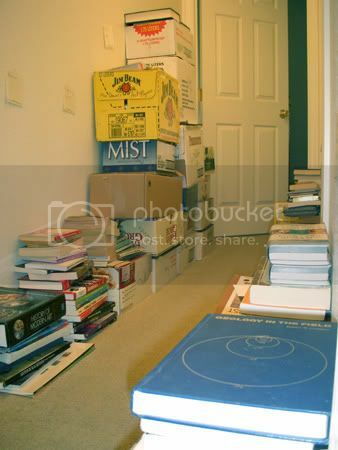 About 70% of the junk is boxes of books and about 9/10ths of those books are mine (I have a book problem). We would really like this room to be a library as well as a guest bedroom. We've found some bookshelves at IKEA but it's going to be a pain to get them here from the Phoenix store. 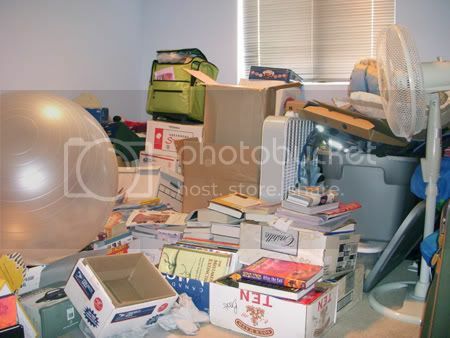 The boxes containing the shelves are too big to fit in my truck so we'll have to rent a trailer (buying them online is out of the question - the shipping charges are more than the price of the shelves!). There were so many books that I decided it would be a good idea to catalog them. To make it easier, I signed up with an online home library website called GuruLib. I picked them over other similar websites because they're free and they have a cool feature that lets you scan in UPC codes with a webcam. The UPC feature was really helpful though it only works on newer books and it requires a high-quality webcam. So far I've added 642 books to my online library and I still have more to do! 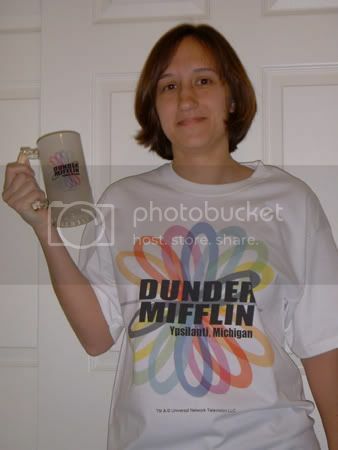 The other thing that's been eating up my time is this website: dundermifflininfinity.com. It's an online game created by NBC to promote their show, "The Office." You play as an employee of the online company Dunder Mifflin Infinity (DMI) and you do different tasks (usually related to that week's episode) to earn fake money. The DMI employees are divided up into different teams called "branches." Each branch is based in a real town and is led by another employee who is called the Regional Manager. It's not all work though. I've been having a lot of fun getting to know the other employees - we all love "The Office" so it's fun to geek out about it! If you're interested in joining please drop me a line. I'd love to have you in our branch!